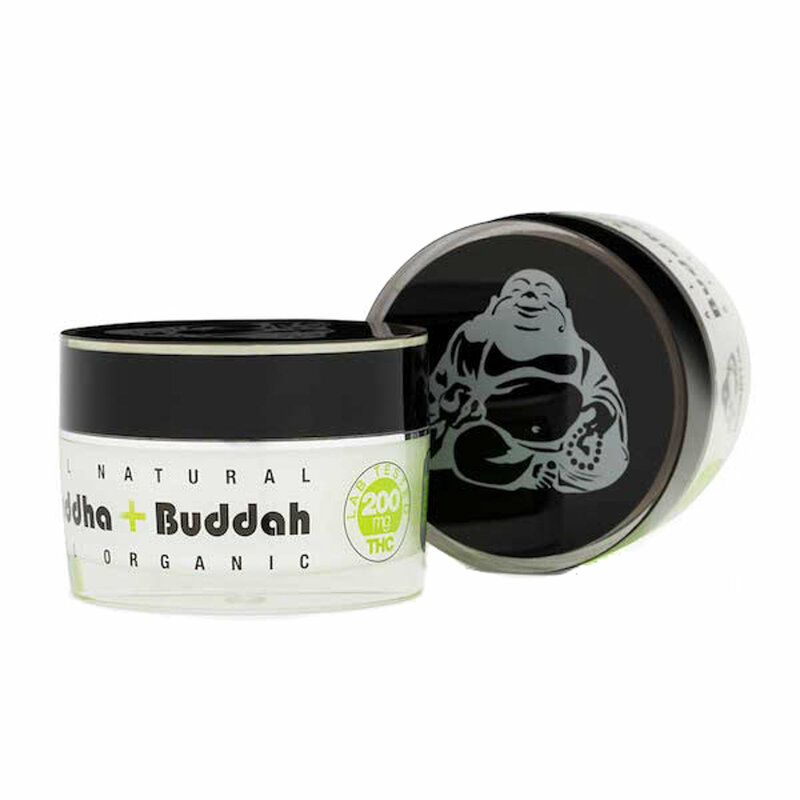 Buddha Buddah is a specially formulated, 100% fair trade organic, THC infused topical body cream. 200mg THC/jar. A uniquely formulated topical body cream designed to increase the skin’s ability to attract, hold and distribute moisture to alleviate muscle pain. With the use of our 100% organic signature blend, Buddha Buddah relieves discomfort associated with inflammation, chronic muscle pain, arthritis and bruising; the cream can also be applied externally for further ailments such as dermatitis, psoriasis and eczema.